Poll: What do you think of this mod? BY DOWNLOADING ANY OF THIS CONTENT YOU ARE AGREEING TO THE TERMS AND CONDITIONS STATED BELOW. ALL THESE WILL BE MOVED TO A NEW FORUM. I WILL NO LONGER BE UPDATING THIS TOPIC. THIS PAGE WAS ORIGINALLY FOR CUSTOM BLOCK MOD, AND OTHER FACTORS ARE ALSO IN PLACE, SO CLICK THIS TEXT TO GO TO THE NEW QWERTYSAM'S MODS PAGE. 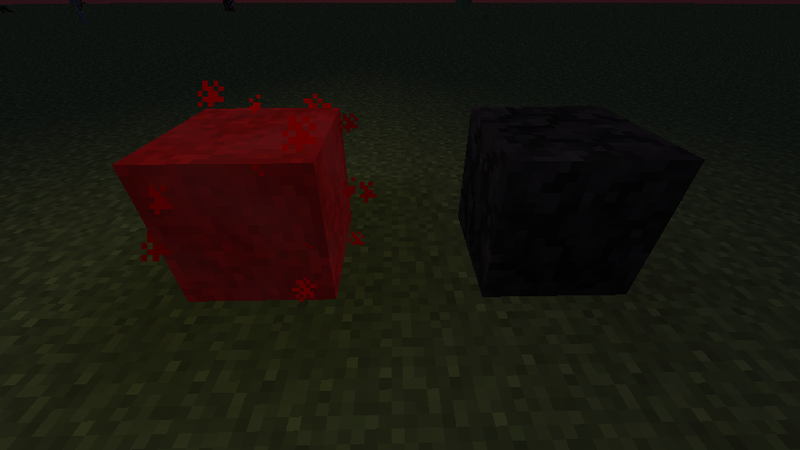 This mod gives you 40 more blocks to work with in Minecraft! 10 standard blocks, 5 transparent blocks, 5 slabs, 5 glowing blocks, 5 doors, 5 stairs, 5 fences, and the best part is you get to texture them yourself! It's really nice for extra building blocks, when building tall buildings, to little country-side huts. -Added "lang" files to specify "itemGroup.Custom Block Mod()" to equal "Custom Block Mod"
-When you break/pick block a door it now gives you the proper door instead of the first door. -Made compatible with 64x64 resolution textures. -Made compatible with 32x32 resolution textures. -Changed logo in ".info" file. Sorry, I'll work on this later, but for now, it's pretty ovbious on how to texture them. Just do it as you would for the purple squares in the terrain.png. And the block number is labelled and it'll tell you what kind of block it is, plus it's colour coded. Enjoy! HD textures are textured exactly the same as above, just they're HD so there's more pixels to fill. 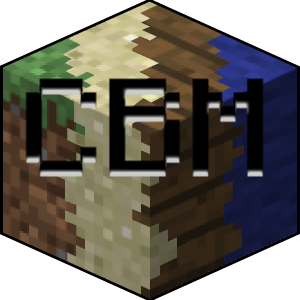 Another thing is that for HD textures you'll need the HD texture patch from MCPatcher, and you must have an HD texture pack (with the same amount of pixels in each texture as the mod) on while using the HD version of this mod or else it will mess up. I interrupt my bro, and he's just like... Hey, let's keep that part! To get your mod spotlight in here, post a link in the comments/reply section with the youtube/other website link! Simply click the button that says "Backup Saves" or "Make Backup" etc. to create a backup of the file you chose in the folder listen in the black box. You can click on multiple buttons at once to backup those files! You can continue playing Minecraft or even close it, and it'll continue to back up your files! -Now a config file will automatically be created without any crashes! -Now it'll automatically create a config file, but it crashes the first time you use it. -Added buttons for opening folders Mods, Config, Saves, Bin, Resources, Stats, .minecraft, Texturepacks, Today's Backup Folder, and Screenshots. 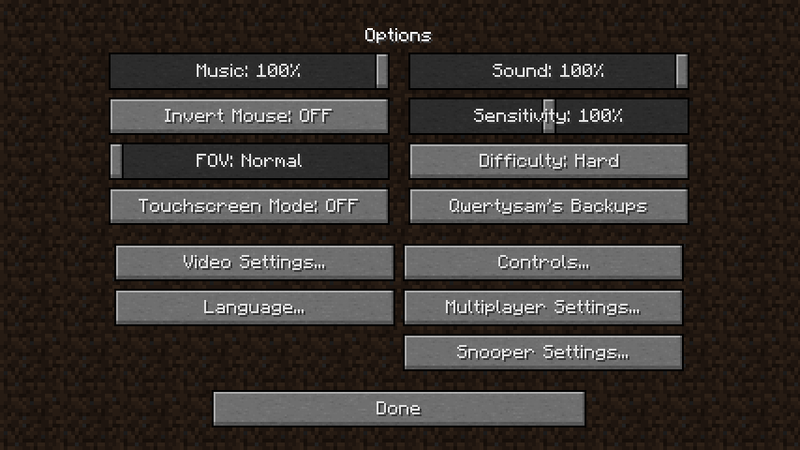 -Added buttons for copying folders Mods, Config, Saves, Bin, Resources, Stats, .minecraft, Texturepacks, and Screenshots. 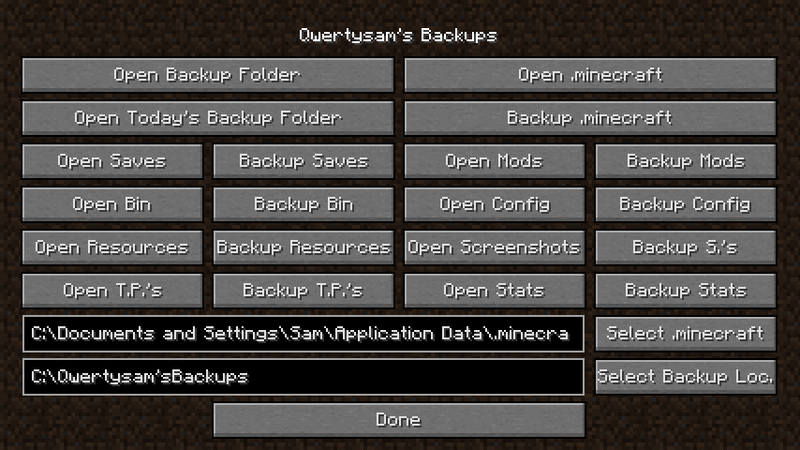 -Now backs up files to "C:\Qwertysam'sBackups\YYYY\MM\DD"
-Added new button "Open Saves"
- Changed backup directory to "&APPDATA%\.minecraft\backups"
- Fixed bug where it makes a backup when you press "Open to LAN"
- Changed text from "Make Saves" to "Backup Saves"
This doesn't require ModLoader or MinecraftForge. 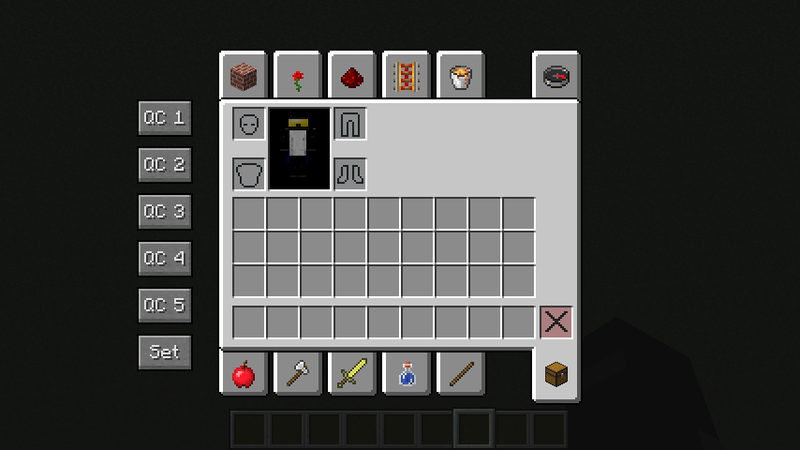 When You go into your inventory in survival or creative, you should see 6 buttons on the left of the GUI. Each "QC #" button will make you say/do the command that you typed in "Set." If you click on the "Set" button, you should see five text inputs with lame pre-sets. Change them to how you want, and click the corresponding button. 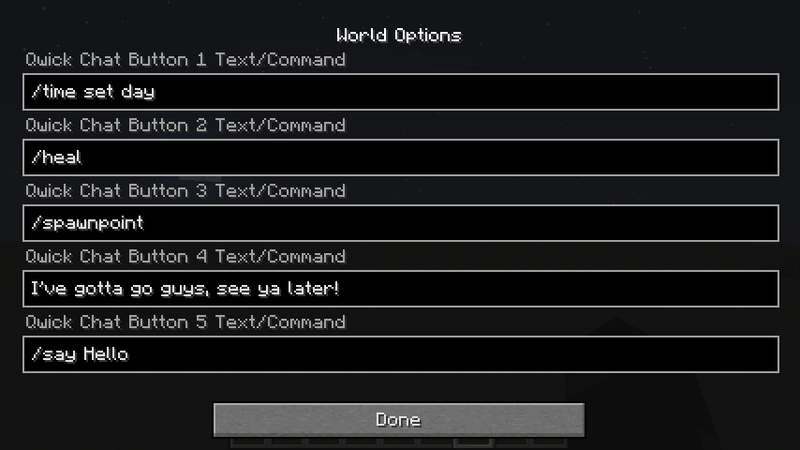 NOTE: If you want to speak normally in singleplayer you have to put "/say " before your sentence. Otherwise it'll think you're trying to do a command. This mod just makes the tops of trees more suitable depending on their type. 1.) Download the latest version of the mod from the specified download tab. 2.) Locate and open your "minecraft.jar." For Windows open your start menu, click Run, type in "%appdata%" without quotes, hit "OK," go into your ".minecraft" folder, then go into your "bin" folder. You should see "minecraft.jar." For Macintosh go to finder, choose "go" then "go to folder," and type in "~/Library/Application Support" without quotes, then hit enter. Go into your ".minecraft" folder and then into your "bin" folder. You should see "minecraft.jar"
Open your "minecraft.jar" with an archiver program such as "7-Zip," "WinRAR," or for Macintosh, "Archiver Utility." 4.) Delete the "META-INF" folder from the "minecraft.jar." 5.) Drag all of the files from the mod's zipped file into "minecraft.jar." 6.) Install Modloader/Forge if required. 7.) Execute Minecraft's executable file, and have fun. OWNER - Samson Close, Original author(s) of the MOD. Under the copyright terms accepted when purchasing Minecraft (http://minecraft.net/terms) the OWNER has full rights over their MOD despite use of MOJANG code. Could you add a option to create recipes for your new blocks? umm, I'm not sure how to allow you to customize them, but I could make custom recepies for you if you want! Just post a photo with the ingredients/blocks/items you'd like in the crafting table, and in the order you want them in, and I'll do it just for you! Well does anyone want a customized version? Feedback? Thanks for the great support guys! Be sure to give new ideas or requests! and can you make this block explode 10 times more than a normal TNT? erm, I'll try, but I'm not quite sure how exactly to make the block act like tnt. But I will try! This is amazing, best thing ever!. Can you make a block called "Postaloris"?. I would like a block crafted by 8 gold ingots in the same order a chest is crafted with a diamond in the middle, and when broken drops a eye of ender, and the block glows a little bit more then redstone torch does, if thats not to hard. I have a solution to this... just, only a TINY bit harder. so will you add real recipes for them? 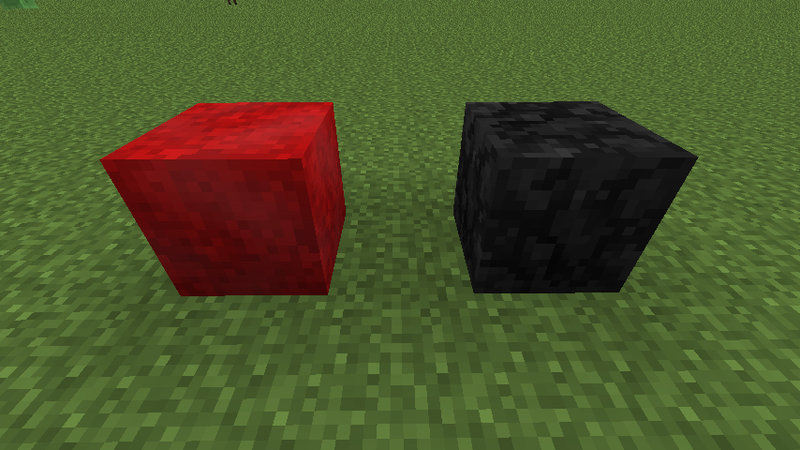 I'd love to have more blocks in survival without cheating, like diff wood planks (ive seen texture packs that use sideways logs, and thought that'd be cool) I was also thinking brick versions of the ore blocks, obsidian bricks that can be used to make a better looking portal, different kinds of stone bricks and sandstone, and maybe cobblestone and moss stone fences? 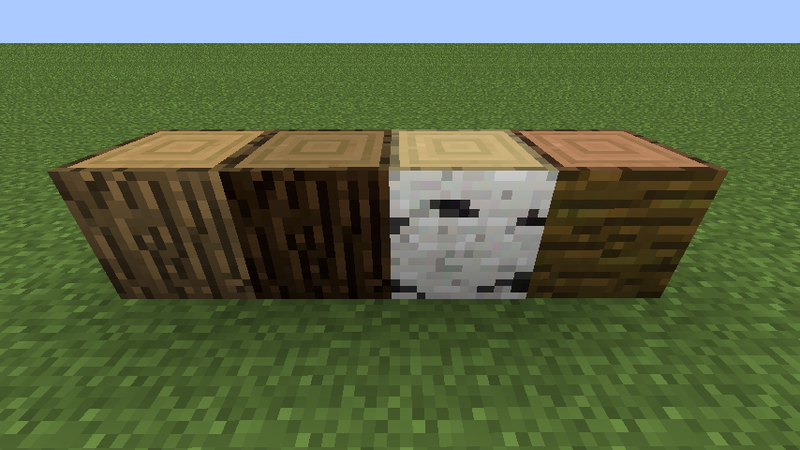 either way, I just want more decorative blocks in survival. Sorry, I looked into the TNT thing, but I couldn't do it. err, well that's great that you know that and all, but it doesn't exactly say what you want me to do. I'll try, but I may not be able to make it glow but I'll try my best! Hah, I should! and thanks for the support! I can make ACTUAL RECEPIES for them, I'll look into the fences and portals, and brick versions of ore will be a piece of cake! However, if you want me to texture them personally it'll probably take about twice the time. Also, a note to everyone: It's that time of year where exams are going, and my computer is broken, however it's being fixed, and by then, I can work through almost the whole summer! (aside from vacations) Also, I'm not a professional modder, so it may take slightly longer with all these requests, and I do have a life, so there may be some breaks between each customized version. Thanks for understanding, Have a nice day! Wow, this cool mod would really help me in my building! Thanks for makeing this mod. OMG where is my sig?